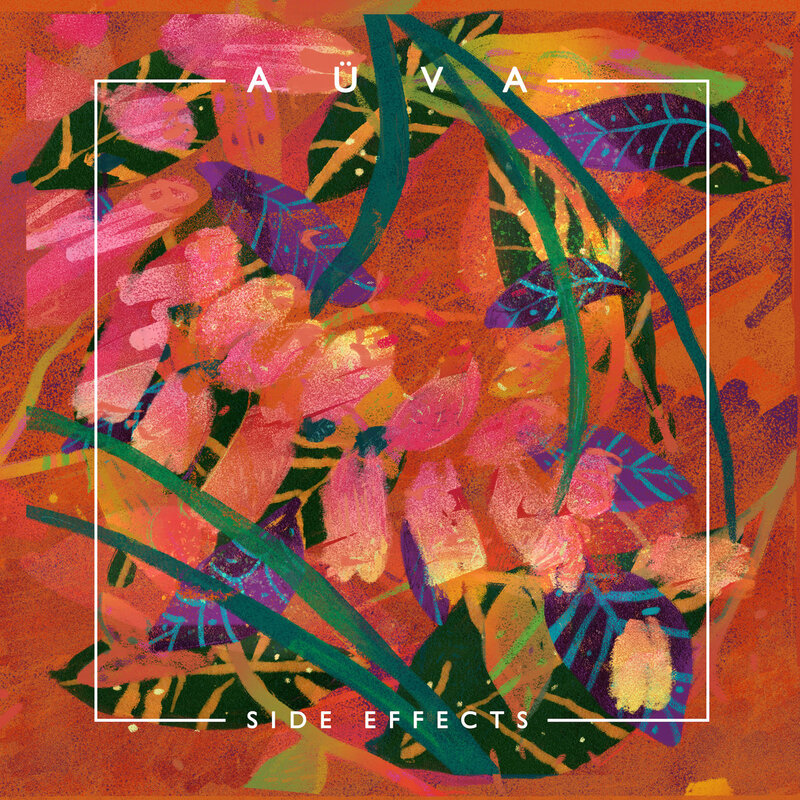 Auva is Jack Markwordt (guitar/vocals), Miette Hope (keys/vocals), Jake Levine (guitar/vocals), Michael Piccoli (drums), Andy Metzger (bass), and Austin Birdy (percussion). 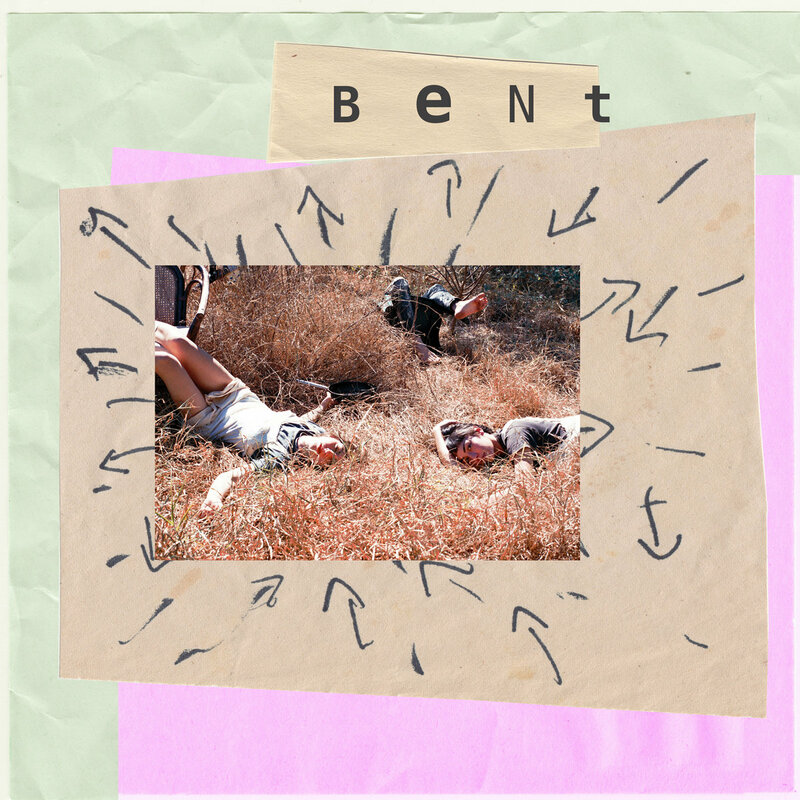 Brisbane trio Bent is not a band that encourages you to lie on the sofa, rest your head in their collective lap, and get comfortable while listening to their music. In fact, they don't allow it at all. Instead, on their new album Snakes and Shapes, Bent snarls, shouts, clatters, shreds and pummels. And they do it very well. This is post-punk with plenty of punk attitude, raw performances and an inventive and audacious approach to composition. I particularly like that the bass takes a co-lead role on a number of tracks. Captivating and challenging in equal measure, Snakes and Shapes is an exhilarating ride that gets better with each play. Put on your earphones and get Bent. Bent is Heidi Cutlack (vocals/bass), Skye McNicol (drums), and Glen Schenau (guitar). Snakes and Shapes is out now via Emotional Response Records. See the Bandcamp link for digital, and the link just below the Bandcamp link for the CD version. There are a number of good young US rock bands making their mark right now. Just from memory I can recall excellent outfits in Boston, Chicago, Nashville, Los Angeles and many points in between. But a less known fact, which really should be very widely known, is that one of the best of the bunch is Seattle's Dude York. The trio is a rock band, with all of the energy, noise and edge that comes with that label. But they also are thoughtful, melodic, embrace pop hooks and are literate and activist. With some fine EPs and an album in their past, they have pulled it all together in superb fashion on Sincerely, their sophomore album. On this outing, while the band has not shed their appealingly scruffy charm, the songs are well crafted, tightly performed, and highly relatable. The mood generally is upbeat and positive. This is a band you will want to like, and you'll have no trouble doing so. Dude York is Peter Richards (guitar/vocals), Claire England (bass/vocals), and Andrew Hall (drums). If I correctly recall the background, the three met when students at Whitman, the highly regarded liberal arts college in Walla Walla, Washington. Perhaps that is relevant only to illustrate that the quality of the songwriting is less surprising as a result. But since I think that this band exceeds both for the quality of their sound and the content of the lyrics, it is important to us here at WYMA. Previously, Richards was the songwriter and primary vocalist, but on Sincerely England steps up in both categories, adding a depth in perspective and sound that adds greatly to the album's effect. Three songs are available to stream below. I assure you that others on the album are equally satisfying. This may be your indie rock find for the first quarter of the year. 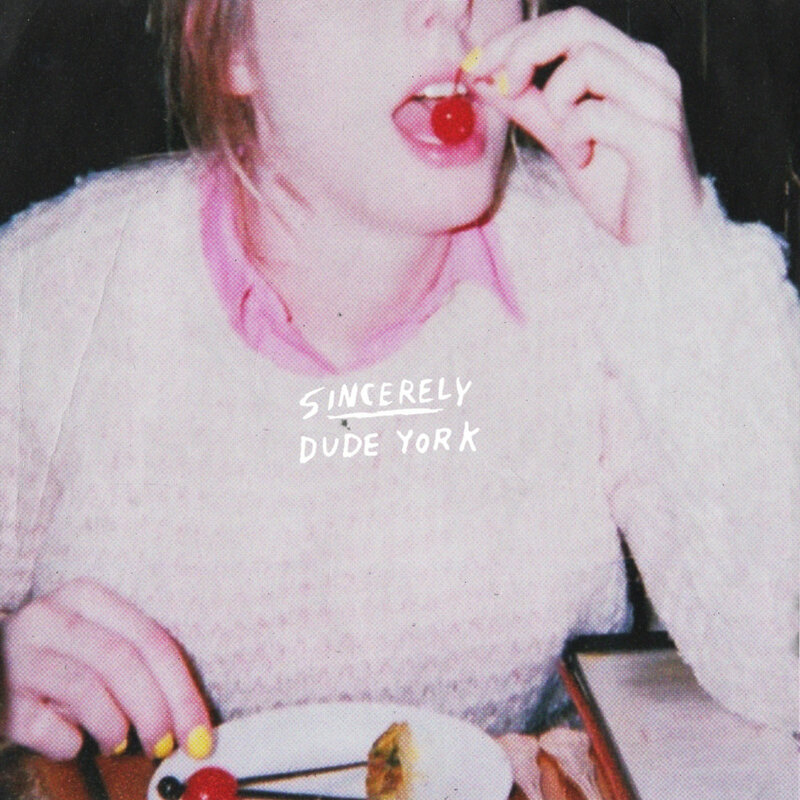 Sincerely is out now via Hardly Art. Check the Bandcamp link below for details. We are an enlightened and progressive lot here at WYMA, and we'd be among the last you would expect to encourage you to support bullies. But we believe in the power of redemption, as well. So in the matter of Manchester's Former Bullies, we offer our unqualified support and endorsement. It isn't just that, according to their name, any unseemly, aggressively dominating activity is in the past, it also in a very major way is due to the fact that they create the sort of lo-fi, jangling garage rock that is as vital to our existence as the air we breathe and the beer we drink. You know -- the essentials of life. 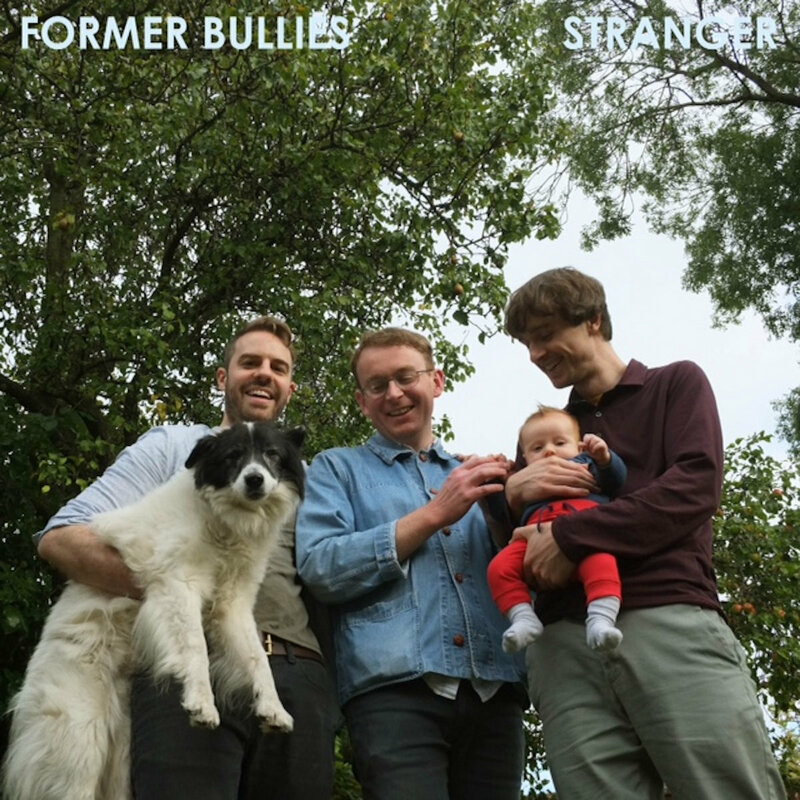 On Stranger, Former Bullies' new album for CF Records and Towed By The Ghost, main man Nick Ainsworth has fashioned eleven songs with the leftover emotional parts from the termination of a long romantic relationship, glued together with an affirmation of life and some very jaunty hooks and melodies. It may have originated with some open wounds, and built in the garage (or more likely, the basement), but as a slice of guitar pop, it runs like a top-flight, fully warrantied machine. There are echoes of '60s guitar pop here, and even some surf rock touches on some songs (including the title track). Concision is important, with the less-than-three-minutes running time ensuring that no nugget overstays its welcome. It always is better to invite your listeners to hit the replay button rather than the skip button. A couple of the songs are provided below, but we think every song on the album is a keeper. So give the streams below a play, but we recommend following the Bandcamp links and living with the albums for a while. I expect you'll want to take them home and make them part of your life. Former Bullies are Nick Ainsworth (guitar/vocals), Matthew Taylor (bass) and Tom Settle (drums/guitar/vocals). Stranger is the band's fourth album, and you can get it at the Bandcamp links below. Everdaze, one of our favorite Australian psychedelic pop projects, will release an album titled Cartoons lager this year via Melbourne label Deaf Ambitions. New single "Catastrophe" gives us a strong reminder of why we have that album marked for special interest. Enjoy it below, and if you want a hazy piece of Everdaze check out the Bandcamp link. Rarely to you hear electro pop with this much attitude. But Manchester-raised, London-based Natalie Findlay is appears to be the rare artist that can straddle the indie rock/electro pop divide and make both camps quite happy indeed. Her thirteen songs on Forgotten Pleasures make stops in other sub-genres as well, and all of them work. The success is due to Findlay's powerful but extraordinarily versatile vocals, but also the talent of her collaborators. Co-producer Jules Apollinaire contributed keys, bass and guitar, while Ben Simon played guitar and Christina Lamas played drums. Additional assistance came from Carl Barat (composition on "St. Elmo's Fire"), and producers Jake Gosling, Samy Osta, and Flood. Forgotten Pleasures is out now via Findlay's Mint Records, BMG, and The End Records. Check your favorite online store. And so you don't easily forget the pleasures of Forgotten Pleasures, enjoy a few tracks below.